Father Joseph Mader has coped with various health challenges since he was ordained a priest of the Archdiocese of Indianapolis 50 years ago on May 7, 1967. Those challenges forced him into early retirement 25 years ago. And since 1999, he has lived in Florida. Nonetheless, Msgr. Mark Svarczkopf, who grew up down the street from his brother priest, says that Father Mader’s call to ordained ministry transcended his physical limitations. Father Mader, who was unable to be interviewed for this article, spent 16 years seeking to form future priests at the Latin School of Indianapolis, the archdiocese’s high school seminary that closed in 1978, and at the former Saint Meinrad College in St. Meinrad. He also served for nine years in parish ministry in central and southern Indiana, ministering as pastor of St. Thomas More Parish in Mooresville from 1984‑88, and as associate pastor during other periods at St. Charles Borromeo Parish in Bloomington, St. Michael Parish in Cannelton, St. Paul Parish in Tell City and St. Pius V Parish in Troy. 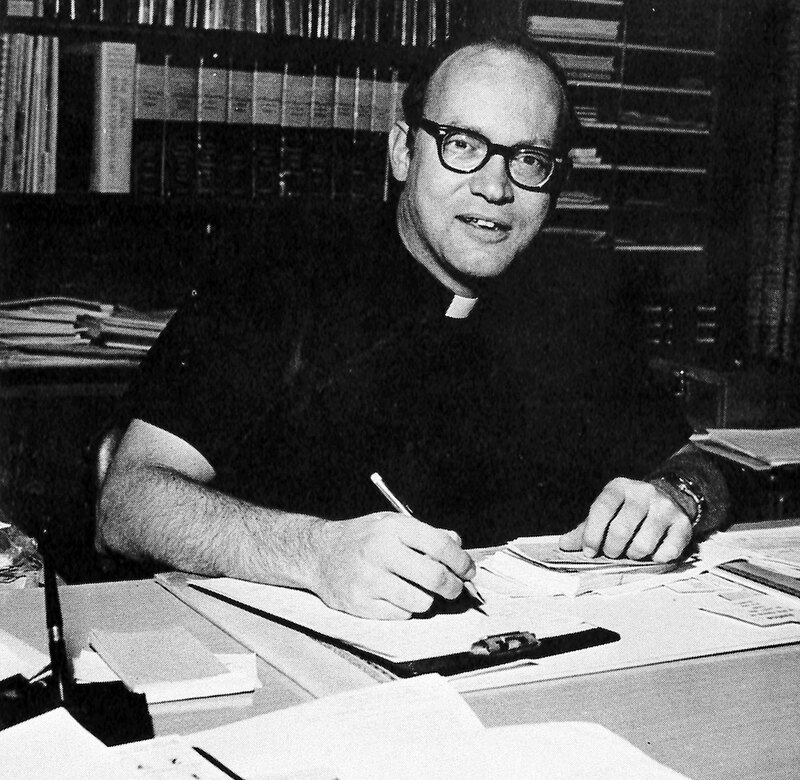 Father Michael O’Mara, pastor of St. Gabriel the Archangel Parish in Indianapolis, had Father Mader as his spiritual director at Saint Meinrad, describing him as “an intellectual” who was “mystical” in his approach to faith. Father O’Mara said that Father Mader helped him as a young college seminarian to gain confidence that God had called him to the priesthood. Father Mader also helped him through challenging times when his grandmother was struggling with depression, and said that she couldn’t take life one day at a time, but only one half hour at a time. At the Latin School, Father Mader taught math to high school seminarians. Msgr. Svarczkopf, who was a faculty member at the Latin School with Father Mader, said that his friend in later years sometimes focused his mind on mathematics when his body began to fail him. Father Mader was also interested in the intersection of faith and science. As much as Father Mader was drawn to mathematics and science, he didn’t dwell in abstractions from everyday life, said Father O’Mara, but instead gave of himself to the people he was called to serve. “He didn’t put up any pretenses,” Father O’Mara said. “He was who he was and wasn’t interested in putting up pretenses for people. He was joyful. When he celebrated the Eucharist, he was joyful about it.